It was arguably the club's biggest week. 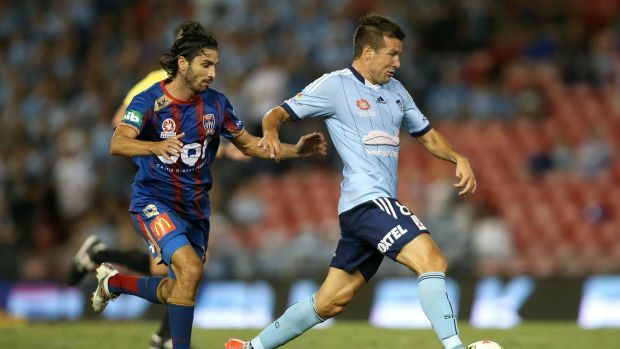 Sydney FC had just put in brave performances against Premier Legaue giants Tottenham Hotspur and champions Chelsea. The supporters emotions though were mixed. Whatever highs they had from the thrilling games disappeared as it appeared player of the year Milos Dimitrijevic was unlikely to ever grace the Allianz Stadium again after the club moved on from stalled contract negotiations. Now though, Milos Dimitrijevic has stunningly completed a u-turn and signed with the A-League runners up on a two year deal. Dimitrijevic, who made 4 assists and created 53 chances last season, also spoke of the impact working with Graham Arnold had for him staying. Dimitrijevic will look to have another stellar campaign after he sweeped the club's end of season presentation. He left the gala with Player of the Year, Players Player of the Year and Club Members Player of the Year.